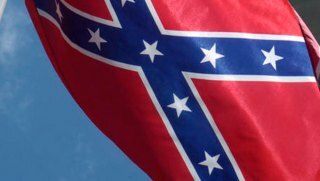 Virginia has revoked specialty license plates featuring a Confederate battle flag after a federal judge dissolved an injunction allowing the image. The Department of Motor Vehicles will begin recalling and replacing existing plates, Attorney General Mark Herring's office said Thursday evening in a statement. U.S. District Judge Jackson L. Kiser had issued an injunction in 2001 that allowed the image of the Confederate flag on specialty plates honoring the Sons of the Confederate Veterans. Kiser said in a Thursday order that his decision is "no longer good law" because of a recent U.S. Supreme Court ruling in a Texas case that said specialty license plates represent the state's speech, and not the driver's speech. The DMV will work with the Sons of Confederate Veterans to design new plates. Once the plates are manufactured, they will be sent to affected drivers, DMV spokeswoman Brandi Brubaker told the Virginian-Pilot. "We're working as quickly as possible to get this done," Brubaker said. Affected drivers also will be sent envelopes addressed to the DMV asking them to return the existing plates to the state for recycling. In 1999, the General Assembly authorized the plates but prohibited any logo on the design. The Sons of Confederate Veterans (SCV) sued, and Kiser sided with the group. The decision was upheld by a federal appeals court. Herring's office asked Kiser to dissolve the injunction after Virginia Gov. Terry McAuliffe said in June that he would move to have the plates phased out. "The Commonwealth's rationale for singling out SCV for different treatment is no longer relevant," he judge's order said. "According to the Supreme Court, the Commonwealth is free to treat SCV differently from all other specialty groups. Because the underlying injunction violates that right, I have no choice but to dissolve it." Debate about Confederate symbols gained new traction after the June 17 mass shooting of nine black worshippers at a church in Charleston, South Carolina, in what police say was an attack motivated by racial hatred. The white man charged in the slayings had posed with a Confederate battle flag in photos posted online before the killings.